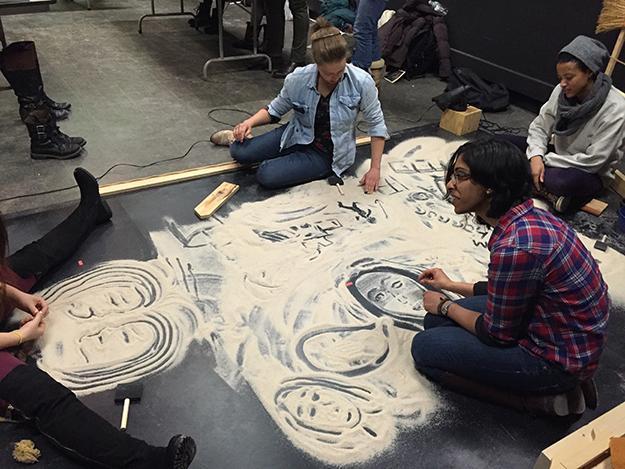 We invite you to join us for a fun and informal hands-on sand drawing workshop led by theatre artist Kimi Maeda. Using a black tabletop mat as your canvas, Maeda will set your creative spirit free as you practice the tricks and techniques of sand drawing to tell your own stories. Sand doesn't remember, so make mistakes, take risks, and enjoy transforming one drawing into the next! Don't miss this unique opportunity! No art experience is necessary. To reserve your spot, email Lisa Melillo, lisa.melillo@raritanval.edu.